If you think being a college student with limited income is hard, try being a college student who is gluten-free. Junior and Middle School Education major, Rachel Hale, is doing just that. While most college students save money by buying cheap staples like Ramen and Macaroni and Cheese, Hale has to carefully plan out what she will eat and where she will find the ingredients. Hale has been gluten-free since May 2011. She started to notice that she was getting really sick after she had eaten certain foods. People going gluten free like Rachel Hale have to be especially careful about what they buy and where. Hale says that eating on campus at J-M-U is especially difficult. Hale also worries about cross-contamination from the different foods, so she doesn’t eat anything on campus. Besides some specialty food stores, there are very few places in Harrisonburg that cater to those who are gluten-free. Hale also mentioned that Five Guys has the option to order burgers without the bun and Jimmy Johns has the option to get the “Unwich”, one of their sandwiches without the bread. Rachel Hale misses some of the foods that she used to eat before she was gluten-free. 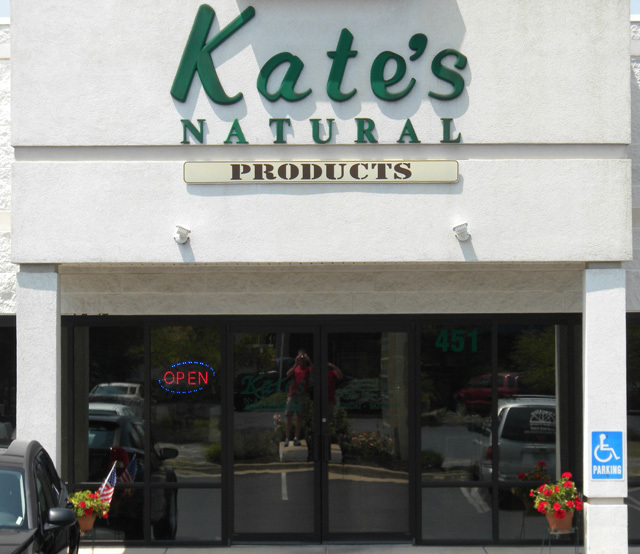 Owner of local Kate’s Natural Products store, Ralph Magri, says that people have been becoming more and more gluten-intolerant in the recent years. He says that Kate’s specializes in alternatives for those people. “We have things here that people can tolerate or things that people are lacking in,” says Magri. He made the point that most of the time when people are sick, they go to the doctor and get pills for whatever is wrong. He says that the problem with food intolerance is in the gut. “Gut health is important and leads to the healing of other seemingly unrelated symptoms,” He says. Magri encourages anyone to be gluten-free as gluten is not a necessary thing. The problem with being gluten-free, however, is that the price of an otherwise normal product is twice as expensive without the gluten. One example is that a regular box of Betty Crocker cake mix is $1.35 at the grocery store versus the gluten-free kind which is $3.99. Another gluten-free woman is wife and mother, Corrin Mirch. She says that she finds deals on gluten-free food in a magazine called “Living Without”. “Even with the savings I can find, I spend about $1000 a month on food alone,” says Mirch who is gluten-free with her husband Steve. Although prices are high now as awareness rises the future of gluten-free food looks to become less of a hassle which gives hope to college students going gluten-free.